Benin, Tory February 26, 2006 - Man with tribal scarification on his face. It's the 2X5, It's the voodo Python. 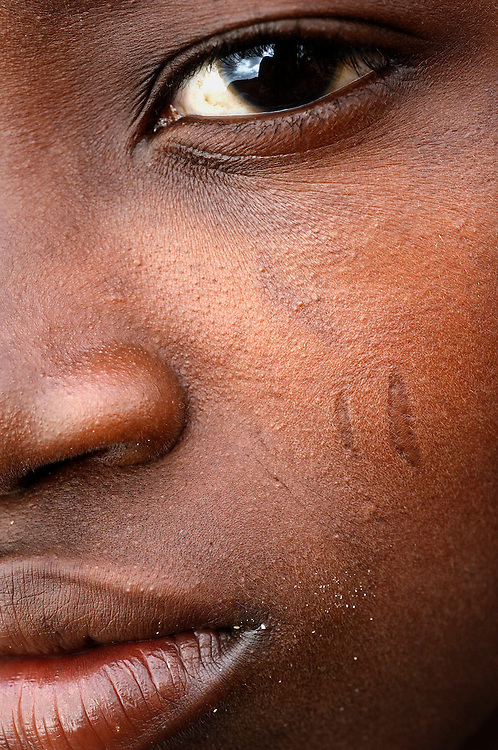 Scarification is used as a form of initiation into adulthood, beauty and a sign of a village, tribe, and clan.